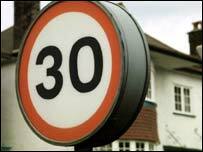 BBC NEWS | UK | Magazine | Like it or lump it: Is the speed hump here to stay? Like it or lump it: Is the speed hump here to stay? It is rare indeed that Tory leader Iain Duncan Smith and Middle England can claim common political ground with Jonathan Miller, Beryl Bainbridge and Joan Bakewell. So what unites them? They all oppose speed humps. "They shouldn't be allowed. They've ruined our lives. They've ruined our peace," says Kathleen Jones. But it is not the lorries which pass her Leicestershire home which have so upset the 72-year-old. Instead, it is the speed humps recently installed to slow the vehicles which have left her nerves in tatters. Mrs Jones says traffic on the road running 30 feet from her house never used to bother her, but now the noise of lorries braking, negotiating the speed humps, and accelerating off again has become intolerable. "I was washing up this morning and there was such a big bang I thought something was coming through the house." Mrs Jones and her husband Ken even blame the vibration caused by vehicles mounting the traffic calming obstacles for shattering double glazing in their porch. "We didn't know what to make of them when they were first put in. But now that I've lived near a speed hump I don't think they do anything to calm the traffic," says Mr Jones. "Drivers race up to it, skid, bang over it and speed away in a cloud of pollution." Harold Wilson's Labour government first began to experiment with "sleeping policemen" to slow motorists in the mid-1970s, but in recent months speed humps have been elevated from a minor motoring matter to a political hot potato. The Conservatives - today holding a transport conference which they hope will win them a reputation as "the party of the motorist" - have voiced concerns about traffic calming measures. 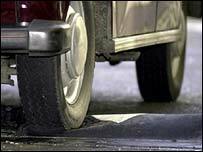 Tory transport spokesman Tim Collins recently said "unnecessary" road humps could be dug up. The estimated 500,000 asphalt, brick and plastic mounds on UK roads have attracted an intriguing array of enemies. Novelist Beryl Bainbridge, broadcaster Joan Bakewell and polymath Jonathan Miller have joined forces to oppose traffic calming in their posh north London neighbourhood. "I hate road humps," said Ms Bakewell in June. "The pleasure is taken out of driving and it's bad for the car." Bus drivers in Sheffield are suing their employer saying repeatedly negotiating speed humps has damaged their lower spines. And undertakers in Liverpool forced the city council into lowering its speed bumps because hearses and stretched limos kept becoming stranded on the road obstacles. One urban council, Barnet in London, did not even require such prodding. "We will make Barnet a hump-free zone!" said Brian Coleman, the Tory chairman of the environment committee, in June as he announced every one of the 1,000 obstacles in his borough would be grubbed up. Even ambulance services have expressed concern about the effect of speed humps on their emergency response times - with hundreds of patients estimated to be dying because of delays. 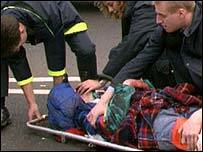 Labour MP John Mann called the spread of road humps "a plague" after one of his constituents was driven by ambulance over 17 of the bumps after breaking her back. Last year, the Nottinghamshire MP asked 1,836 households in a village which boasts 125 sets of humps, what they thought. "Of those, 97.7% were in favour of the removal of the road humps and 1.8% were against. Such majorities are unheard of these days, even in North Korea or Cuba." So was the speed hump just a blip in British motoring history? The Royal Society for the Prevention of Accidents (Rospa) certainly hopes we have not seen the back of the hump. "We would be very concerned at any measures to the detriment of road safety. Speed bumps have been shown to reduce accidents and if they do any damage to a vehicle or the occupants it is because they were travelling too quickly in the first place," says Rospa's Roger Vincent. The many problems of speed humps - noise, vibration, visual intrusion, driver discomfort, cost - have prompted the Department of Transport to investigate "psychological" alternatives to physical speed reducing techniques. Janet Kennedy of the Transport Research Laboratory says such things as curves, humpback bridges, cameras, road signs and paint markings can prompt motorists to reduce their speed. "These work well when a number of them are acting together, however, the effect is still not as great as speed bumps - which are the only thing proved to slow down vehicles." While Ken and Kathleen Jones are hoping a petition will allow peace and quiet to return to their street, others have taken more direct action. 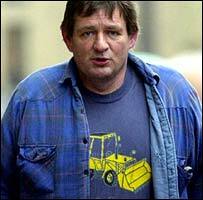 In November, Oxford builder Ian "Digger" Beesley was charged with "deliberately causing damage to a road surface costing £300" after he allegedly used his JCB to remove a noisy speed hump outside his home. Mr Beesley says that since the charges he has received more than 200 letters of support from opponents of speed humps. He has also sold more than 150 T-shirts intended to help pay his legal fees. The logo on the T-shirts? "We Haven't Got The Hump - Digger's Dug It Up." 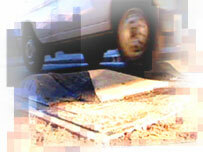 Road humps: Should they stay or should they go?